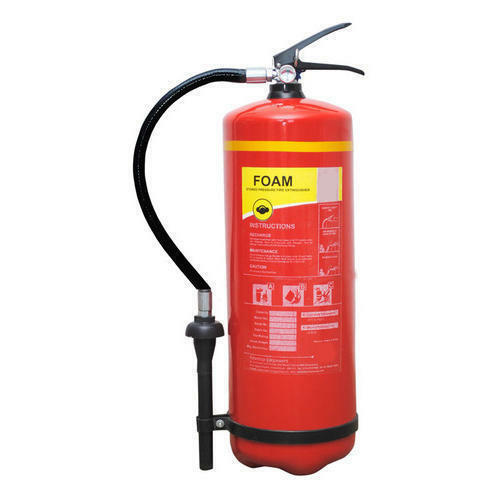 Backed by our expert and experienced professionals, we provide Mechanical Foam Fire Extinguisher. We “Sameeksha Fire & Safety Solutions” take pleasure in introducing ourselves as leading firm in the market. Since 2016, we are engaged in the manufacturing and trading of Safety Glass, Safety Helmet, Safety Glove, Safety Shoes and many more. We have experienced professionals in our company who work efficiently in a proper manner, every person is a specialist in their respective domain and their judiciousness is the strength of our organization. Moreover, all these offered products are manufactured utilizing qualitative raw material, which improves the efficiency and performance of the entire range.